How many bugs do you think live in your house? Unless you’re a real clean fanatic, you’ll probably see a spider here and there and the occasional silverfish or house centipede scurrying away when you turn on the lights. 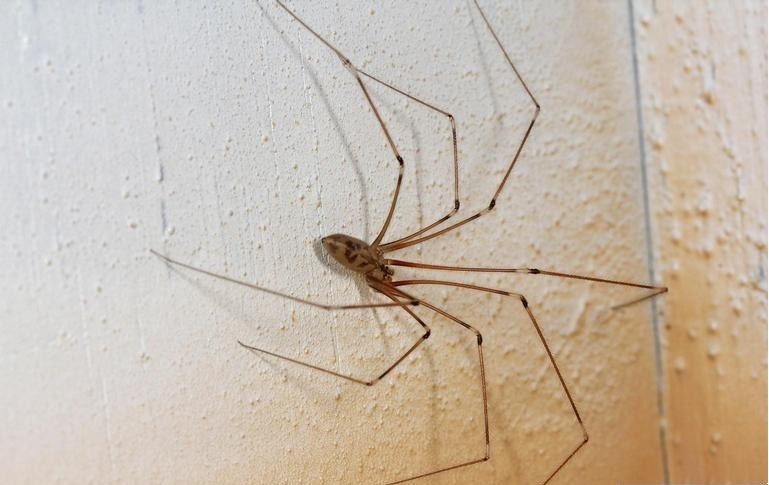 Would you believe that approximately 100 species of arthropods (insects, spiders and their relatives) are in your home? A research team in North Carolina has been working on a project called Arthropods of Our Homes for the past several years. In a survey of 50 homes in Raleigh, North Carolina, they found between 32 and 211 morphospecies (a group of biological organisms that differ in some morphological respect from all other groups) from 24 to 128 families of arthropods. You might be thinking that’s North Carolina so we probably have much less here in cold Canada. However, when the team from North Carolina joined forces with two Ontario entomologists (those that study insects) to survey a house in Toronto for a Nature of Things episode, they found 112 species. You can watch the whole episode here (it’s fascinating). In both cases, the species they found were mostly not pest species like cockroaches or bed bugs – they were neutral or beneficial species, many of which science don’t actually know very much about. Beneficial species include those that eat other bugs, like spiders and the misunderstood house centipede – they’re amazing predators. The study had some other really interesting findings. First, houses in affluent neighbourhoods had more species of arthropods. This is partly because these houses were larger on average, but also because affluent neighbourhoods have more vegetation, parks and trees. This is a neat parallel to what we see with biodiversity at a larger scale – surrounding land use makes a difference. Houses with more pets have additional arthropods, as do houses where the windows are often open. Within a house, different rooms are like different ecosystems – kitchens, bathrooms and living rooms all contain different communities of insects. This is probably because these rooms have different food resources and climatic conditions. If you’re curious about what species you might have in your living space, and want to contribute to the science of the great wild indoors, you can join the Never Home Alone project on iNaturalist. This citizen science project aims to document indoor wildlife from around the world by having users contribute photos of the arthropods they find in their homes. Only a handful of observations from the GTA have been submitted so far and your contributions could add meaningful data to the project. In the meantime, take a look around when you’re at home and keep your eyes open for the many small roommates you’ve probably been missing. And try to keep an open mind about them – at least they’re never going to leave dirty dishes in the sink or skip out on taking the garbage out. To learn more about other insects around the Credit River Watershed, visit Insects of the Credit.